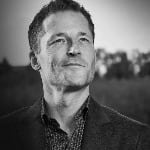 An energy transformation virtuoso, author, international speaker and workshop facilitator, Dr. Dain Heer is best known for his unique energetic transformation process, called The Energetic Synthesis of Being (ESB). Dain Heer is an internationally renowned author, speaker and facilitator of consciousness and change. For over 15 years, he has been inviting people to embrace their true greatness—people from every culture, country, age and social strata of society. Originally trained as a chiropractor, he has a completely different approach to healing by facilitating people to tap into and recognise their own abilities and knowing. In his talks and workshops, he uses a unique set of tools and provides step by step energetic processes to get people out of the answers, conclusions and judgments that are keeping them stuck in a cycle of no choice and no change – leading them into the moments of awe that have the power to change anything.